This evening was the my last practice session on the Aon building staircase before the race this Saturday. I wanted to try an experiment, and I made up a little card with targets of where I wanted to be at each one-minute mark in the race. In order to test this out, I had to start from ground level, so tonight I walked down the staircase to the door to start. Pretty much right away, I was behind schedule. The first section of the staircase is 80 steps, and it has a lot of short flights and turns, so it took longer than a ‘normal’ 80 steps should take. So I was behind schedule by the time I got to my first time point at 6. But I managed to stay about the same amount of time behind schedule the rest of the way up. My original plan was to try and make it to 55 in about 10 minutes. But when I got close, I was still behind schedule, so thought that wasn’t going to happen. 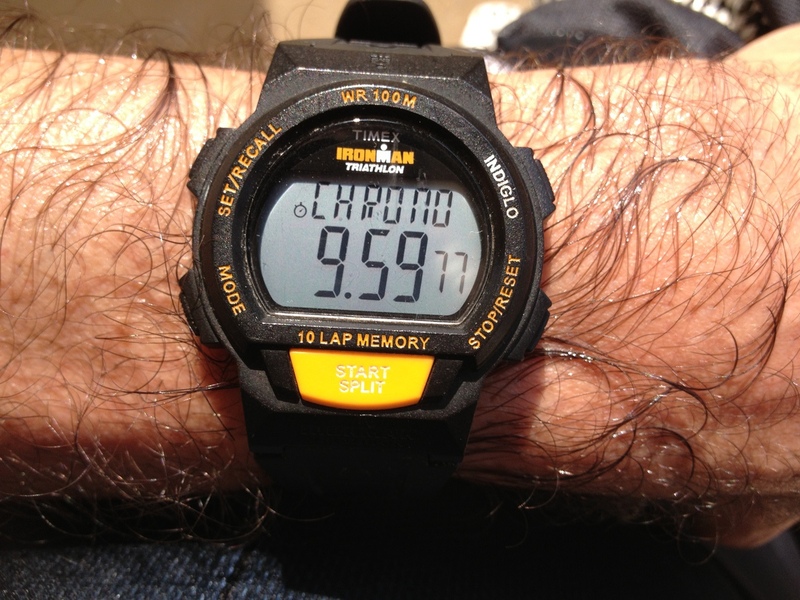 But when I got to 55 and stopped my watch, I’d made it up in just exactly 10 minutes. So that was a pleasant surprise. After doing the one climb for speed, I walked up three more times just for fun. My friend Briana was there, and she wanted to try for a vertical half-mile, which is four times up the staircase. So I walked up with her the last two times. Climbing stairs really isn’t bad, as long as it’s at a moderate pace and with company. So I guess I’m ready to race.